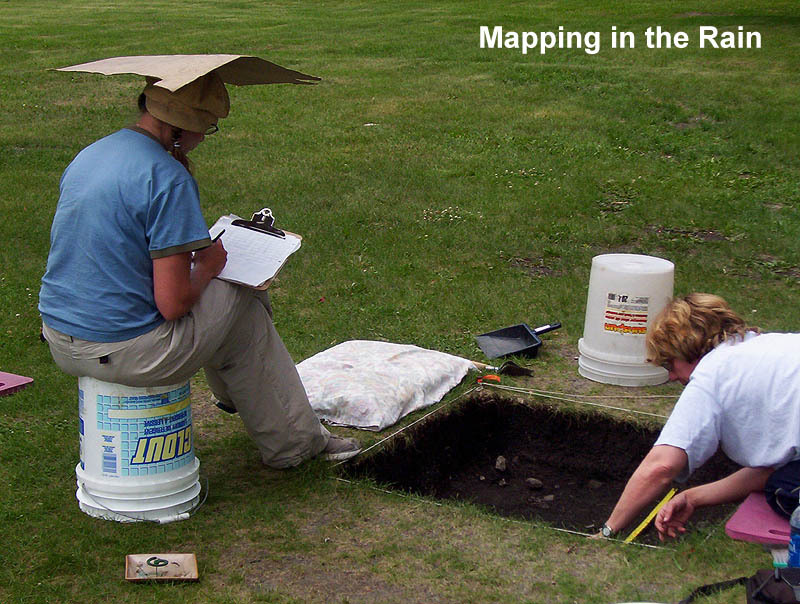 Paperwork needs to be completed for each level excavated including mapping all of the artifacts that were exposed. Changes in the soil, such as patches of ash, are also drawn on the maps. These maps, called Floor Plans, are done using graph paper and measuring tapes. 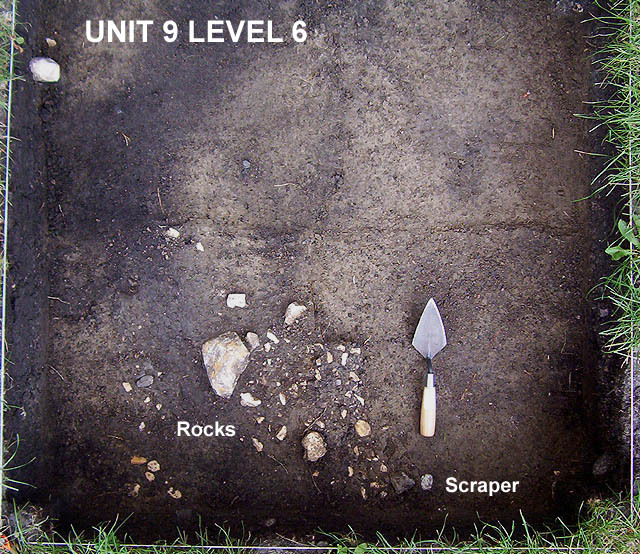 In addition to drawings, other detailed records about the location of the artifacts and their relationship within the soil-types are recorded. Photographs and daily journals are some of the other records that round out the documentation process. 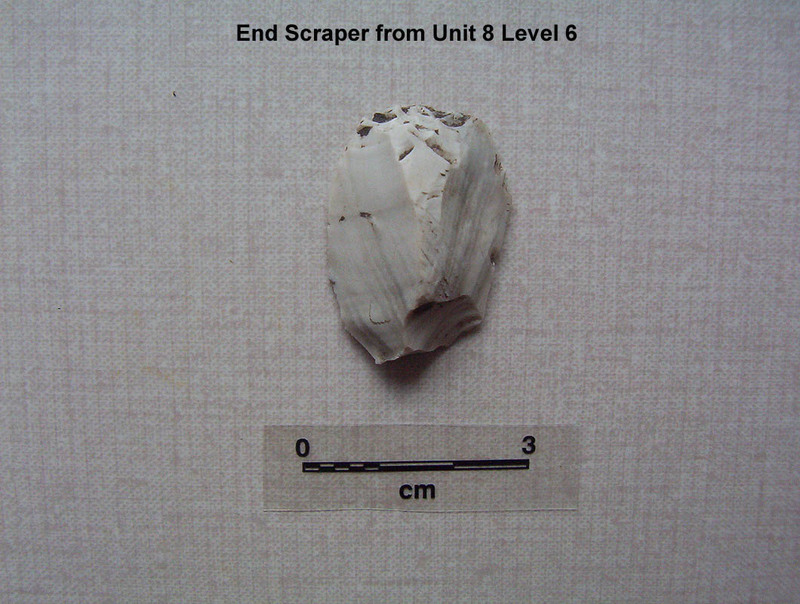 An end scraper was recovered in unit 9. 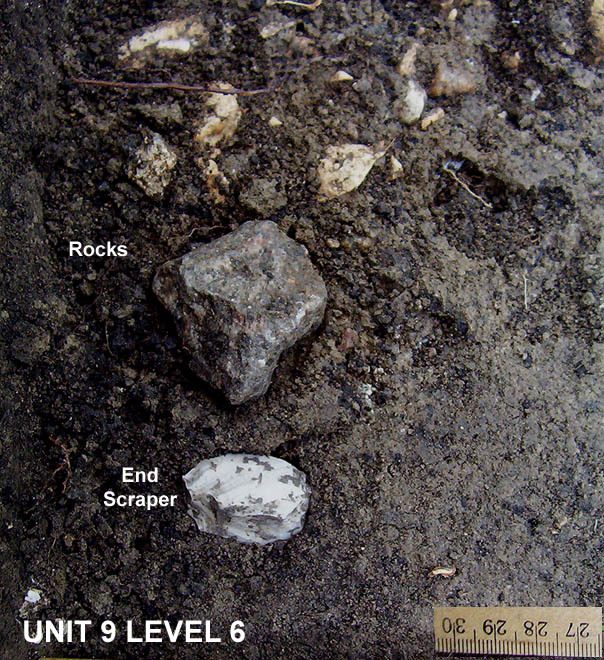 This scraper is located beside a pile of water worn river cobbles in a flood deposit.